I was recently given the opportunity to go shopping for the new Equal Canisters and then mail it out to share with friends. I love being able to send little gifts so besides doing a little shopping we included a note and a couple of recipes from www.Equal.com to try with the new Equal Canister. 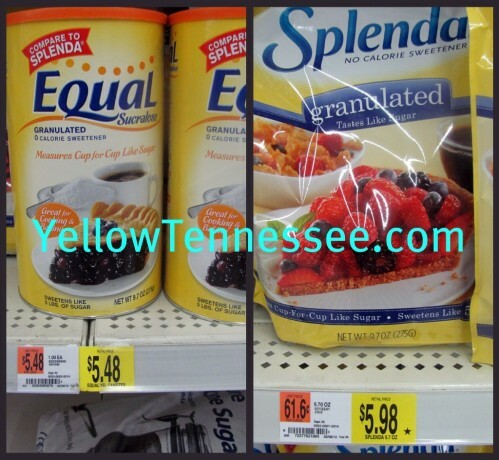 When compared to Splenda bags, the Equal Canisters are a better value. At every Walmart store I have shopped at for these, the Equal has always been cheaper than the Splendia. Besides being a cheaper price, I love that the Equal Canister is so much neater to work with. The wide mouth jar makes it easy to not only pour from but also to scoop out of using a measuring cup or spoon. I have yet to spill any on the counter. Even though the Equal Canister is bigger than comparable bagged products, it really is easy to store. It fits nicely into my pantry and because it is more rigid than a bag, I can stack things on top of and around it. Best of all, I know when I take it out to use it, I am not going to have any mess when I open the lid. For this shop we took a road trip into Alabama to see if we could find the Equal Canisters. 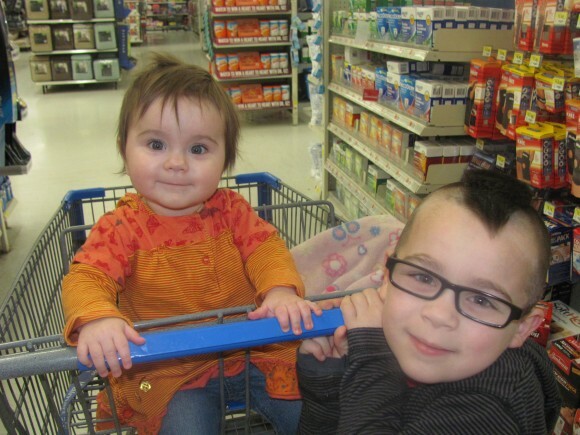 We ended up shopping at the Walmart in Muscle Shoals, Alabama as well as the Florence, Alabama store. You can find a store near you that carries the Equal Canisters. I even let my little helpers decide who we would mail the Equal out to. Friends who live nearby and love to cook and bake. I wanted to show them this new product and hope that they would make some of their own goodies with it. To view the photos that document my shopping trip, be sure to stop by and visit my Google+ album. Have you tried the new Equal Canister yet? This shop has been compensated as part of a social shopper insights study for Collective Bias. #CBias All opinions are my own. I promise!